20 Sep, 2017 in art / creativity / zen by Minette Riordan, Ph.D. I believe in the healing power of mandalas. My son worked for me this summer, and one of his projects was to create blank mandalas for a collaborative project we dreamed up. The mandalas were so wonderful that we decided to create a coloring book that will be coming out later this fall called “Money, Meditation and Mandalas.” Here’s one of the mandalas he designed. Gorgeous, isn’t it? Mandalas have helped me to heal on many levels and perhaps most importantly they have reminded me that I am creative, that I am an artist and that my art is worth sharing. Not only is the process of creating or coloring a mandala meditative and relaxing, it inspires ideas and thoughts. I often journal around the edges of my mandalas as I color. In our free Money, Meditation and Mandala e-course that inspired the coloring book, I share how you can use mandalas to connect to the creative energy of money using meditation, affirmations, and coloring. I trust in the healing power of mandalas to transform my thoughts from lack to abundance. I have been creating and coloring mandalas for close to a decade now. I stumbled across a book on mandalas at Barnes & Noble years ago and it started me on a path of inner exploration and active meditation. Often my kids would sit and color with me. I love that Conner and I have now added a new layer to our shared mandala experiences. This fall, the healing power of mandalas took on a whole new role in my life. At the end of the summer, my son left for his first year in college. Suddenly I found myself teary-eyed and grieving his absence – while simultaneously celebrating his success and so excited for the new experiences waiting for him. Such tension… nothing to do but color it out. Coloring the mandalas he designed helped me to stay connected to him in spirit – and gave me a fun excuse to text him! My biggest fear was that he would disappear and I wouldn’t hear from him. He’s very independent, we raised him that way. I knew it would be up to me to stay in touch. Our mandalas have helped that happen in a wonderful way. As my grief eased, my mandala practice also changed, different colors, more meditation, more exploration and more glittery gel pens… Sakura Stardust pens are yummy and I often use them to add sparkle to my mandalas and to my life. 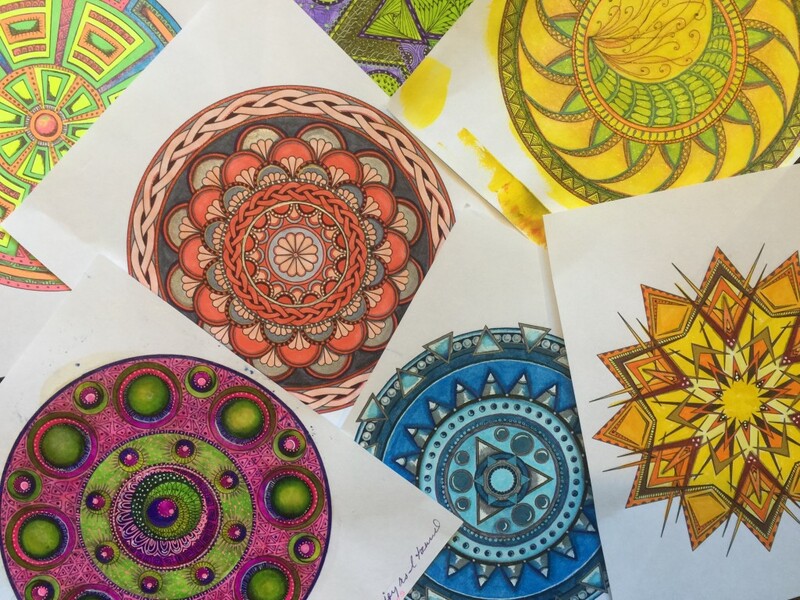 Why is coloring mandalas so healing? The shape and design of mandalas remind us of both the whole and the individual parts of our lives and spirit – they represent the journey we are on as we spiral into the center of ourselves. Coloring pages are wonderful when you are tired, grieving or lost, especially if you allow yourself to relax and randomly pick colors that are soothing. Don’t get caught up in making it perfect. When we color, draw or doodle, our mind is in a state of focused relaxation that allows us to see new connections or that sparks new ideas. And… it’s fun. What if that were healing enough? I firmly believe that as adults we need more fun, play, and creativity in our lives. I am a wife, mom to my amazing daughter, and CEO of our growing company. The work I do every day as a business and marketing strategist is challenging. Without creative playtime, I whither, I hide, I shrink into myself. Coloring invites expansion, joy, and awareness. When I create in my business from this place, everything is better. 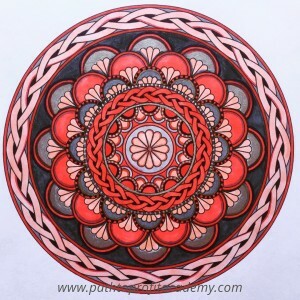 Want to see more of our mandalas? Follow me on Instagram which is where I share most of my art. 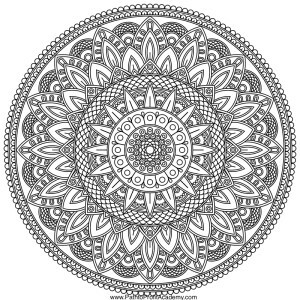 Do you color mandalas? Share your experience in the comments below. I would be honored Kelly Ann and will reach out to you by email. Yeah, love hearing there are other mandala fans like me Berenice.